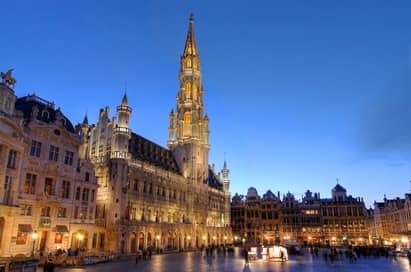 Belgium is Europe in a nutshell; a great melting pot of culture and language forming the centre of the European Union. 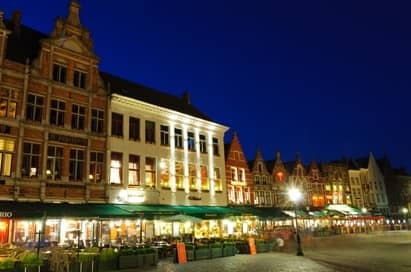 Flanders in the north has great art cities such as Antwerp, Bruges and Gent while the capital Brussels is one of the world's most cosmopolitan cities. Home to both the Headquarters of the European Union and NATO, as well as a wealth of international trade and finance companies, Brussels economic diversity makes it a great destination for a school trip or educational tour for business students. Live the life of an astronaut! Learn everything about space and its conquest. Space and its immensity become alive and clear thanks to the magic of technology, light, colours, sounds, images and a special effects. This six acre park is situated at the foot of the Atomium monument and has mini statues of all major European monuments including the Brandenburg Gate, Big Ben and the Eiffel Tower. They are exact models on a scale of 1:25. The beauty of both Bruges and Brussels is intensified during December when the Christmas markets takes over the city. 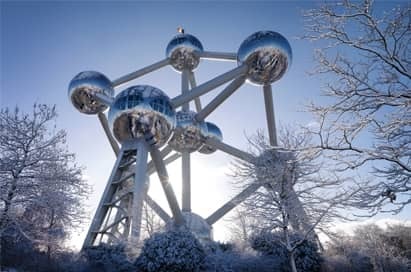 With little wooden chalets selling traditional arts and crafts, street entertainers, fairground attractions and a the smell of sweet waffles in the air a trip to Belgium offers a true Christmas holiday atmosphere your students will love. 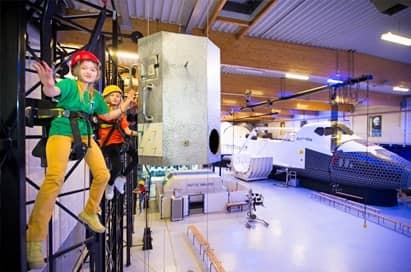 Explore the North Sea’s underwater world at Belgium’s largest aquarium. Over fifty attractions and shows including roller coasters, rides and family entertainment, as well as a large waterpark. Because of its canals Bruges is often called 'The Venice of the North'. The water situation in both cities was, however, very different. Venice was founded on islands in a lagoon of the Adriatic sea. Bruges lies deeper inland; at least now, because in the five centuries B.C the Flemish coastline must have been flooded several times by the North Sea. When the waters retreated they left behind different sea-arms via which ships could reach the area where now Bruges is situated. One of the most beautiful squares in the world, the Grand Place is Brussel's most treasured centrepiece. In 1998, it was selected as a UNESCO World Heritage Site and is an outstanding blend of architectural and artistic styles. The square is surrounded by Brussels’ Town Hall, nearly forty guildhalls and other beautiful buildings from the 14th to 17th century. The 110 by 68 metre Grand Place is also home of the Flower Carpet, a bi-annual event featuring the creation of a colorful carpet design using more than 700,000 cut flowers.